1 day (1 dive or 2 dives additional). Minimum Age: 10 years. Prior experience level: None. No serious health issues (ask to fill our medical statement). 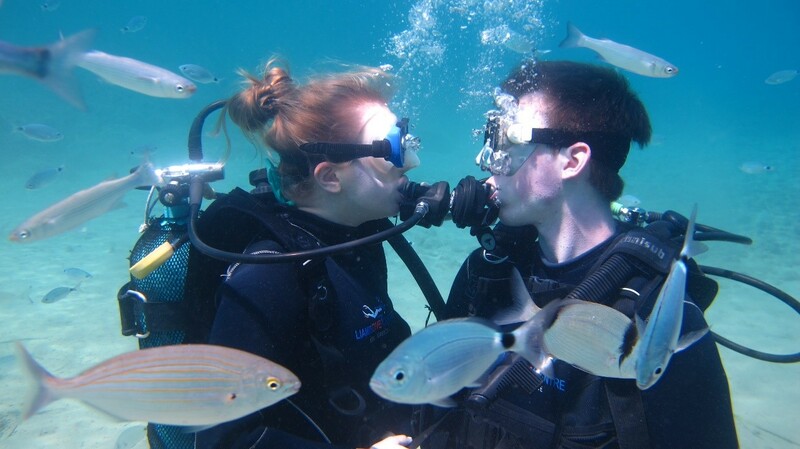 1 Dive in a group of 4 beginners with 2 Instructors for 20-25 minutes in max. depth of 5 meters. Snacks and drinks on boat trips (payable on the boat). 2nd dive (payable on the boat). 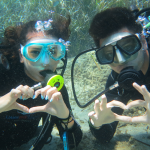 Money for: for your underwater photos and videos in a USB memory stick (20€) , T-shirts, Sweatshirts. 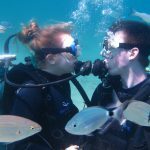 For your personal safety, all our beginner divers must complete a medical statement prior to commencing our daily diving program. If none of the listed conditions apply, you sign the form and are ready to start. 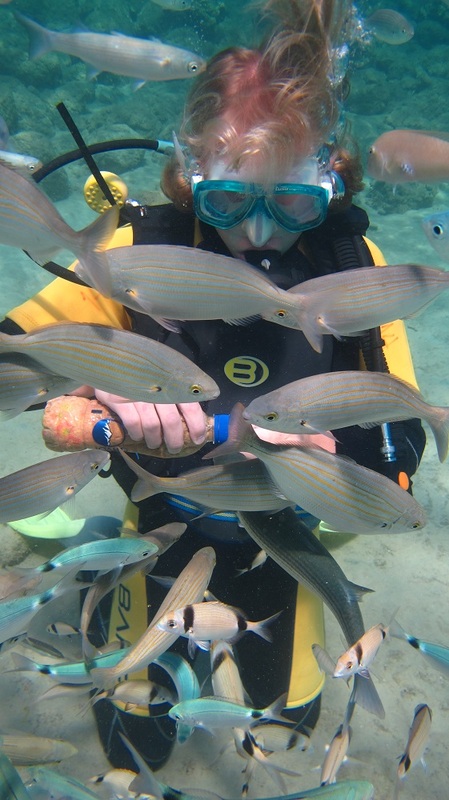 If any of them affect you, as a safety precaution, a physician must examine you and sign a medical form that confirming that you’re fit to dive, dated within the last 12 months. 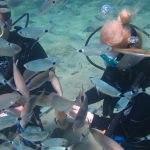 Recommendations for flying after Scuba Diving: For 1 dive in a day the pre-flight time is 12 hours, For multiple dives in a day the pre-flight time is 18 hours and more. 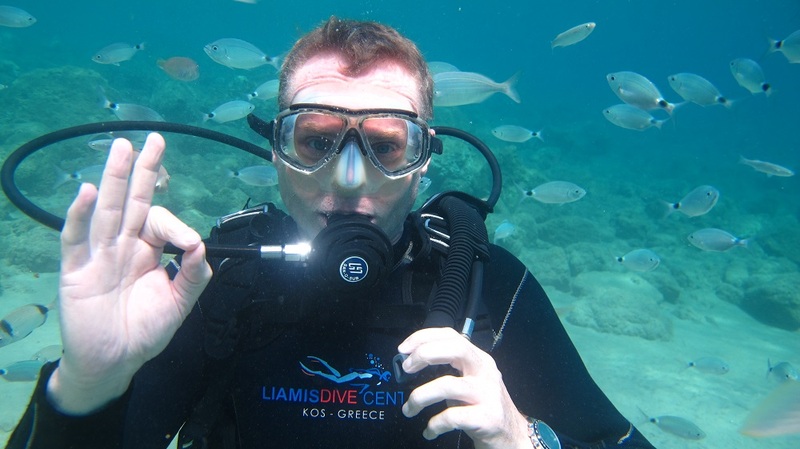 Upon your arrival at Liamis Dive Boat, you will registered in and fill a medical statement . 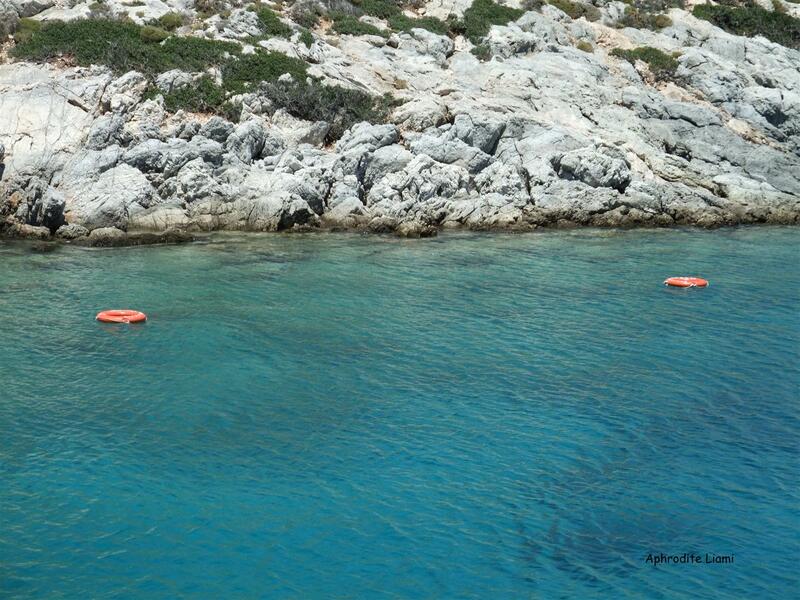 Our boat “APOLLON” departs from the port of Kos at 10h00 for the island of Pserimos. 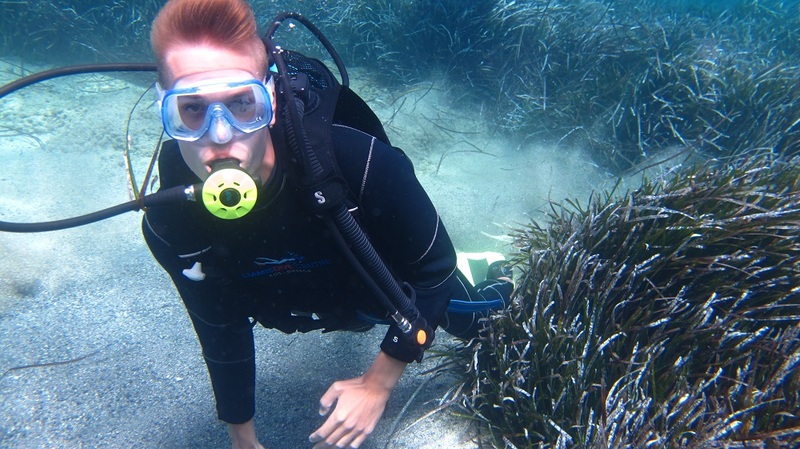 The journey between 2 countries starts but also the unique opportunity of discovering the magical underwater world of the Aegean Sea. 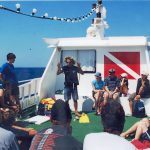 During our journey , you are given an in-depth briefing explaining the dive, and going through the safety aspects of diving and the use of the equipment, which are necessary to make the dive safe and enjoyable. This takes around 15 minutes. 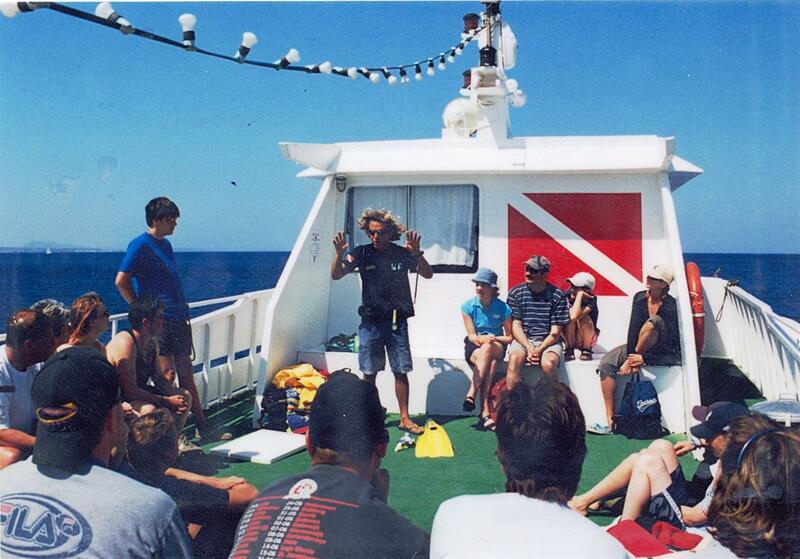 Then you will be separate in groups of 4 persons where you will dive with 2 Instructors. 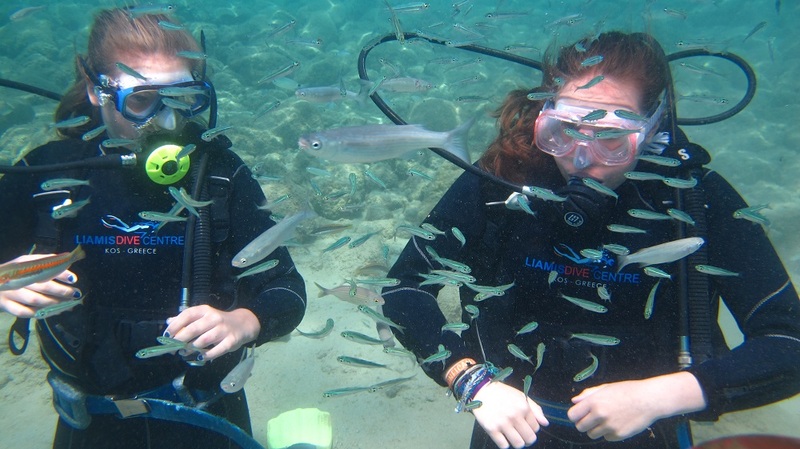 When we arrive to our crystal clear bay , you get fitted with a wetsuit, mask, and fins, sited on the edge of our boat’s platform where our instructors put on you the scuba equipment. 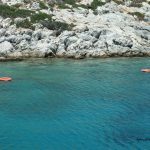 We then get into the water and swim all together , under the direct supervision of our Instructors, to a small beach where the sea is waist-deep level. Here we practice the breathing so that everyone is comfortable before diving under the water. When you are ready, each person is assisted under the water with one of our Instructors – the water is 1mtr deep and you have a minute or two to get settled. When all in the group are happy, we begin diving. When we dive we stay within the confines of the bay which is protected on either side by rocky outcrops. 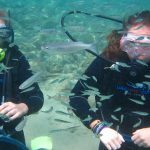 The depth increases very gently until we reach the end of the bay – this is at a maximum depth of 5-6mtrs which you will barely notice because the water is so clear. 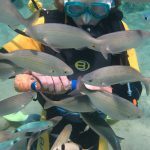 On the way around we stop and look at the abundant marine life, feed the fish (only if you want to), take underwater photos, and at all times you are under the watchful eyes of our PADI Instructors and PADI Divemasters. 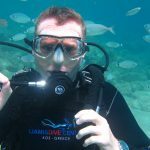 Here at Liamis Dive Centre, we pride ourselves on our safety and comfort concerns, and with this in mind, we only take in small groups, the maximum is normally 4 persons and we have a staff member in with every 2 clients, so there is always someone on hand in the unlikely event you need any assistance. 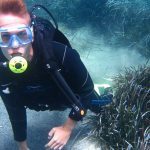 The bay we use (Kokina) is perfect for the diving beginner, clear warm water, lots of marine life to see, sheltered and perfectly safe. It is so good for this purpose that we use it for all of our training rather than a swimming pool – there are no fish in a swimming pool! Later on the day . 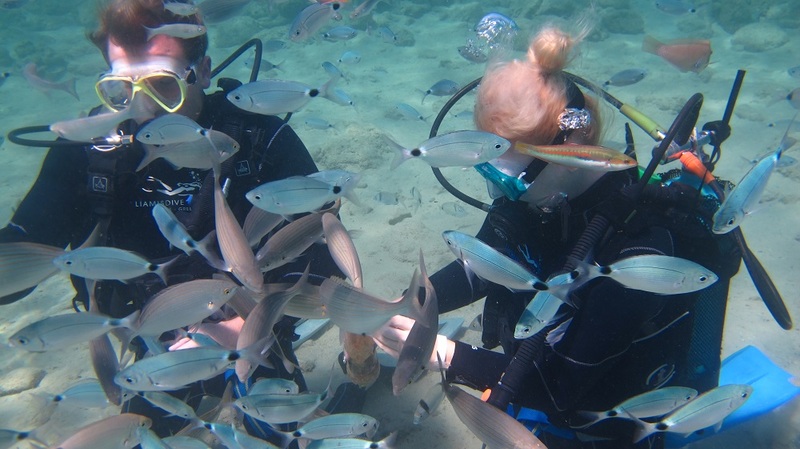 After a relaxing break you will have the opportunity to either take part in the second dive of the day or to participate to PADI Discover Scuba Diving program or to take the next step and to enroll on either a PADI Scuba Diver course or PADI Open Water course . Or just relax on the sundeck and enjoy snorkeling or swimming. Second dive for try divers . At this point you know how to make bubbles but you want more….. You want to see more… To explore more…. To enjoy more …. You just want more…. And is what we offer to you. 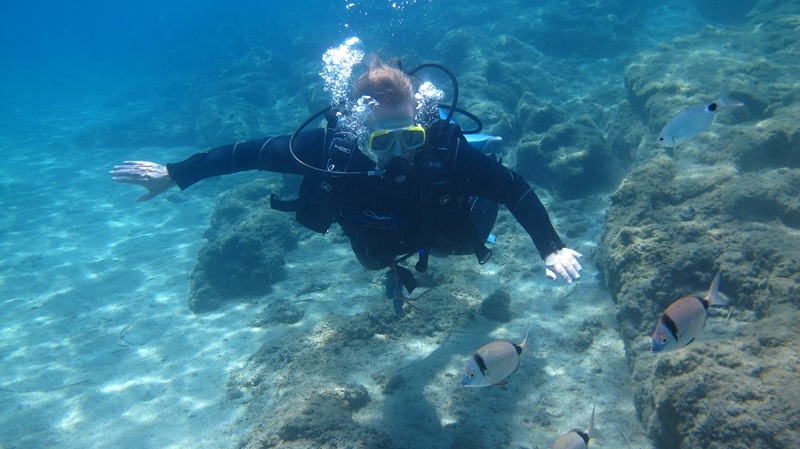 The second dive is taking part at the same day and after the completion of your first dive.This time you will have a longer and deeper dive but not just this. 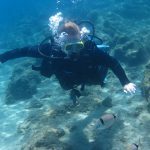 You will enjoy the weightless, the marine life, the freedom that diving give you and you will escape to a different world.This time you will dive without stops, and you will experience a connection with nature, you will explore new places and you will stay down there more. The second dive you book it on board and you will dive always in a small group with 2 instructors in max. depth of 7 meters for 30-35 minutes. Still not enough and you want more? 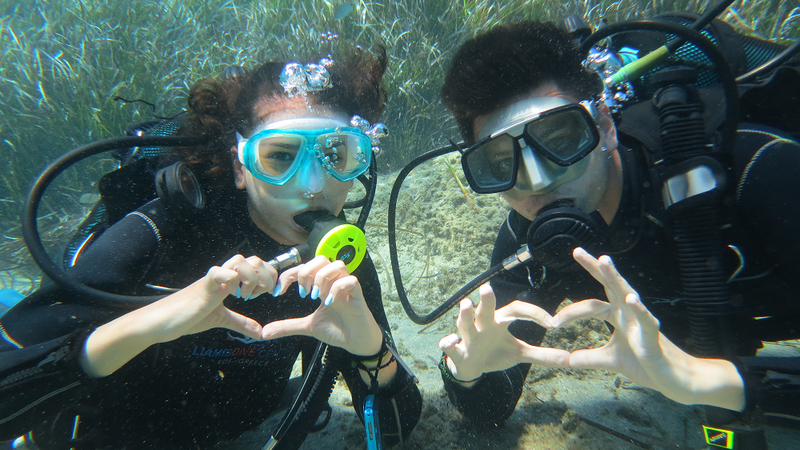 Book now for the PADI Discover Scuba Diving program or for a full PADI course, Scuba Diver or Open Water Diver course.